Once upon a time there was a City all alone in the middle of the wilderness. It was protected from all that wildness by high walls and a love of learning along with a certain sense of superiority. Many years of experimentation and hard work had enabled the citizens to grow beautiful gardens and build strong buildings and make a comfortable life inside the walls of their city, but the wilderness outside was harsh and untamable. No plant would grow in it. No animal would live in it. The rivers were poison and the ground was hard and unyielding. It had been many dozens of years since the last time someone had ventured outside, when a group of children playing up on top of the wall (without their parents permission, of course) spotted a man walking through the wilderness toward their city. They stopped their play and stared. The City had been alone for so long that none of them had ever seen a stranger before. When the man arrived at the gates that hadn’t been opened in many dozens of years, they opened for him without a sound. The children were the first to run toward him, though they hung back far enough to be cautious. The man was not particularly old nor particularly young. He had pale, pale skin and striking dark eyes and hair. Though he looked very tired, he smiled at them all as he reached into the small leather bag he was carrying on his shoulder. 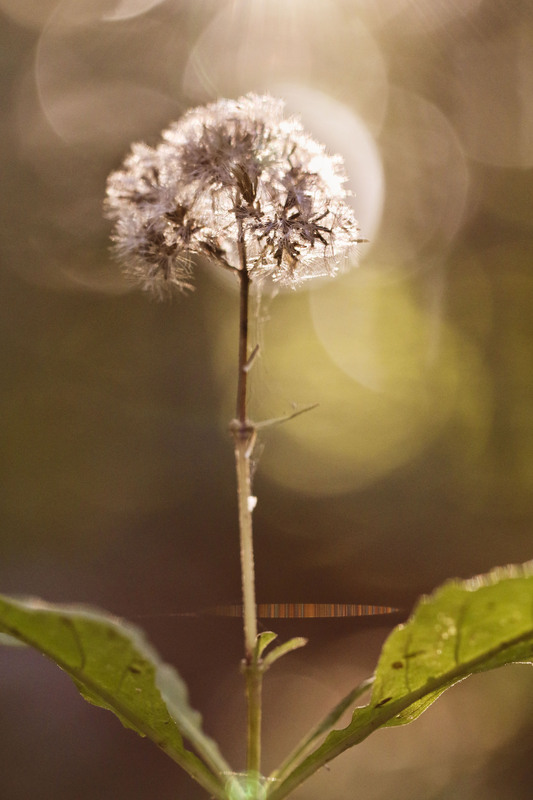 When he pulled out a single flower, round and soft-looking and glowing with a silver light, the children drew closer. Without a word, the man held out the flower and allowed the children to touch it with wondering hands. These hands, when they pulled them away began to glow with the same light as the flower. The childrens’ eyes grew round, staring at their own glowing hands. The man knelt before them and spoke in a quiet voice. The chilrens’ faces brightened as he spoke, and then one by one they ran off in separate directions. It wasn’t long, of course, before the adults came to see the strange man where he sat resting beside one of the city’s many life-giving wells. Children with glowing hands tend to attract attention. The adults questioned him, and he answered. A few came close enough to touch the flower themselves and see their own hands transformed, but not very many. Most hung back and observed, wondering where he had come from and how and what he could want in their City. Last of all, the town elders arrived. They were very busy and important and had little time to chase down rumors, but once the whole town was abuzz, they could ignore it no longer. The man greeted the elders with the same smile he had given everyone. The flower he showed them had faded somewhat by then and was not so bright as before. The elders examined it, receiving a tinge of glow on their own hands. By the time they had finished, the flower, though still soft, was dull and plain. The whole City looked on as the elders received the only information the man would share. The glow was a sort of magic, of course, a power that could make things grow where nothing else would grow. It could only be passed on by human hands and each hand could only hold so much, which is why he had traveled so far through the wilderness to find their City, the only place where people thrived and enough of them were available to spread the magic. Now if any of them with glowing hands would pass through the gates into the wilderness, they could press their hands to the earth and think of something beautiful, and it would grow in that place. The magic would not last forever, he warned, so they must use it soon if they would see the wilderness transformed. The whole City took this news very seriously. It was hardly surprising to any of them that they, who had built this wonderful place, would be chosen for the great honor of restoring the wilderness, as well. The elders immediately called a town meeting to discuss the best way to use this new gift. The meeting was long and full of argument. It didn’t take much time for everyone to agree that they needed a plan but what that plan should be was much more difficult. Several of the City’s citizens were designers of gardens, and each of them thought he or she should be the one to design the new wilderness. While they fought among themselves about which was the most qualified, new arguments broke out about methodology. Some thought that those with glowing hands should be sent out systematically near and far to carefully cover the most possible area. Others thought they should focus all their energies right around the City to make that part of the wilderness as beautiful as it could be. Some thought to start to the north and others to the west. Some thought to send out those with glowing hands in pairs and others in groups and others as individuals. On and on the debates raged, straight through the night and into the next day. It was well past breakfast time when the first cry went up. The first woman who had been brave enough to handle the magic flower held up her hands. The glow, which at first had been so bright, could now hardly be seen. The others who had glowing hands now looked down and noticed that theirs, too, had faded. At first this only led to shouting and confusion, but the brave woman took action immediately. She ran for the gates and burst out into the bleak landscape beyond. Immediately, she knelt and pressed her hand, now barely shining at all, to the ground. A green sprout leaped up, bursting into bloom as soon as it was full-grown, a lovely lily. Those who had followed her exclaimed in wonder, but the woman just began to cry. Her hands no longer glowed at all. Other citizens of the City crowded through the gates. No one’s hands were glowing now. They stared at the one lily which was all they had made from so much magic and they felt their own foolishness right down to their toes. Then someone shouted. In the distance a little girl came skipping toward the City. A ways behind her a boy wandered, collecting rocks as he came. The adults of the City realized in an instant that in their preoccupation with their important new task, no one had been watching the children at all. They began to look around. In the distance, points of color could be seen. Red. Orange. Yellow. Purple. Pink. White. Blossoms of every variety. And green. Green and green and green. There was no design, no pattern, no plan, no perfection. But all those colors stood out against the colorless landscape with breathtaking beauty. Most wonderful of all, the little girl who now skipped over to them held up her hands. They were glowing still. Before anyone had recovered speech to ask how it was possible the little girl smiled and pressed her hand to the ground. Green shoots. Green tendrils. A bud, just a hint of white fuzz at the edges. Slowly the flower opened, glowing with a silver light. 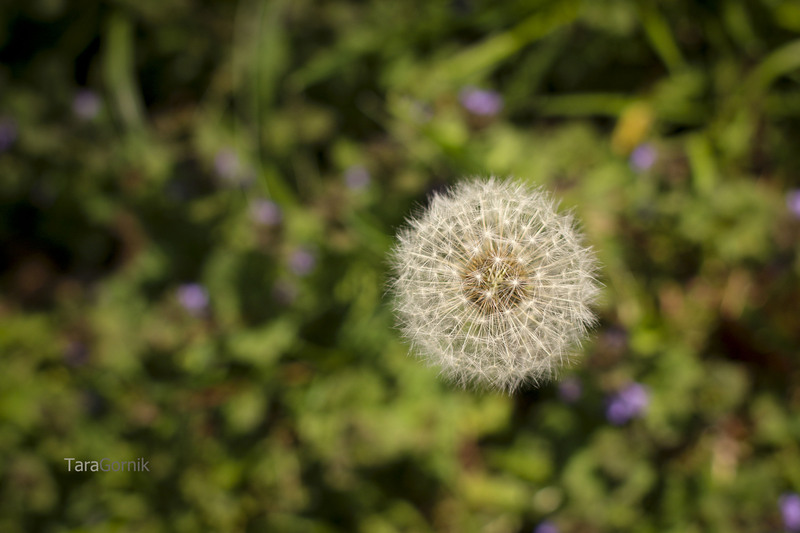 Lovely dandelion photos by the incredible Tara of The Viewfinder by TSDG. love, love, love this story……can’t stop thinking about all of the spiritual parallels! !